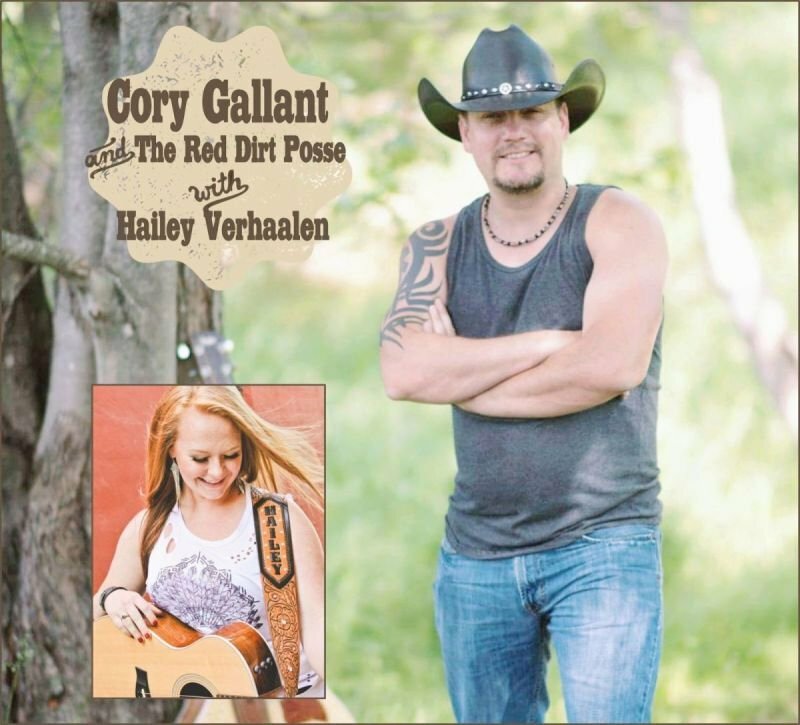 Canadian country recording artist and CCMA Spotlight Contest winner Cory Gallant and The Red Dirt Posse will be having their Album Release Party at the Ponderosa in support of his upcoming album. Hailey Verhaalen will be Cory’s special guest. The show begins at 8:00 pm. Canadian country recording artist and CCMA Spotlight Contest winner Cory Gallant and The Red Dirt Posse will be having their Album Release Party at the Ponderosa in support of his upcoming album. Hailey Verhaalen will be Cory’s special guest. The show will begin at 8:00 pm. Tickets: $ 15.00 general admission/$20.00 VIP with limited seating/first 20 VIP tickets sold includes meet and greet with Cory. Live music from 8:00 pm to 11:00 pm. Hailey Verhaalen will be opening the show. Born and raised in Oregon City, Oregon, in the heart of the Pacific Northwest, Hailey’s passion for music has driven her since she stepped in front of her first large audience at a third-grade talent show. Since her younger days, Hailey has opened for big time acts such as Love and Theft, James Otto, Craig Wayne Boyd, The Moonshine Bandits, and more. She has performed at popular Nashville venues like The Bluebird Café, Tootsie’s Orchid Lounge, and The Listening Room, and has turned heads at Oregon’s biggest festivals, rodeos, venues and Portland’s own Moda Center. For more information about Hailey Verhaalen, visit haileyverhaalen.com. Hailey's official video for "Girls' Night Out"